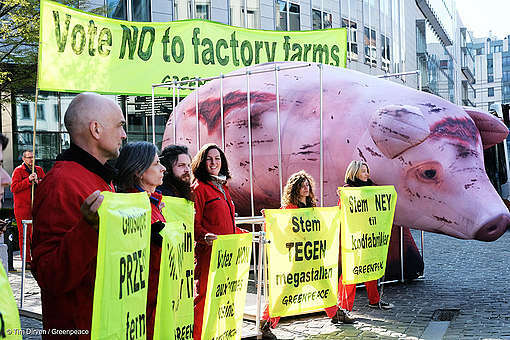 Strasbourg/Brussels – The European Parliament’s environment committee has voted to increase environmental and animal welfare protections under the EU’s common agricultural policy (CAP), but the improvements are not yet sufficient to tackle the problem of factory farming, said Greenpeace. 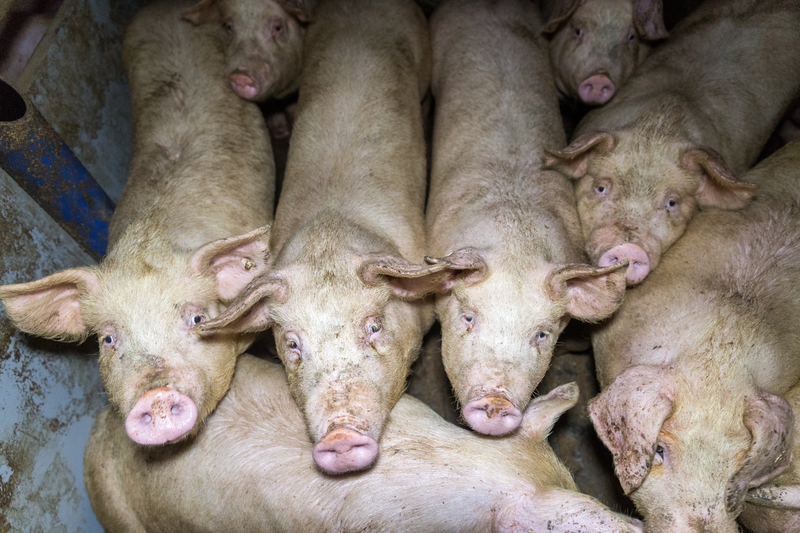 MEPs voted to restrict funding for livestock farms that exceed a certain ‘stocking density’, to set targets to reduce overall stocking density and for new rules saying that farm animals must be able to lie down, stand up, extend their limbs and turn around. 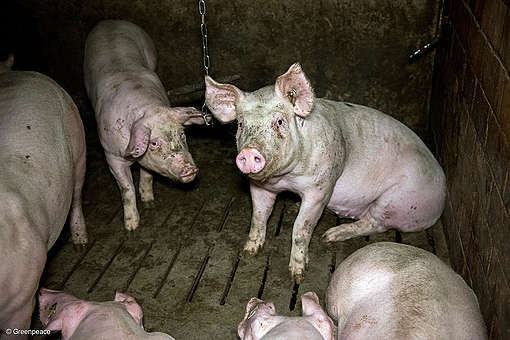 The committee also voted to block national subsidies for large livestock facilities not respecting basic animal welfare principles. The environment committee also voted to increase CAP funding reserved for climate and environmental measures, devoting 40% of the rural development budget, instead of 30% as the European Commission had proposed, and 30% of the direct payment budget. 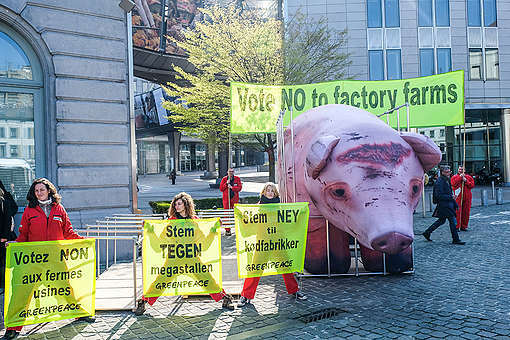 This week, Greenpeace research revealed that over 71% of the EU’s farmland is used to feed livestock, and that 18-20% of the EU’s total budget, through the CAP’s payment system, is linked to the animal farming sector. Eurostat’s own figures show that 72% of Europe’s livestock is produced on the largest category of farms. The next CAP, which will cover the years 2021-2027, is being negotiated between national governments and the European Parliament. The European Parliament’s agriculture committee will vote on the European Commission’s proposed CAP reform on 6 or 7 March, and a vote in the Parliament’s plenary session is planned in April. A farm’s ‘stocking density’ is the number of animals it raises per hectare, measured in standard livestock units. The European Parliament’s environment committee voted that national CAP plans must foresee measures to reduce the stocking density to 0.7 livestock units per hectare by 2028, and added a new requirement for farmers to not exceed this stocking density if they are to receive CAP funds in the years 2021-2027 – this a requirement of 0.14 hectares per sheep, 0.71 hectares per sow, or 1.43 hectares per dairy cow.